The Sundarbans mangrove forest has probably one of the largest populations of wild tigers left in the world. 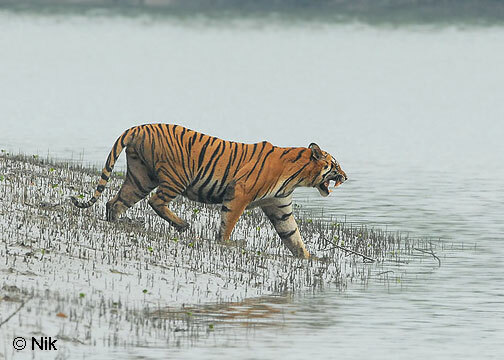 Both Sundarbans expert Tushar Kanjilal and Sailen Sarkar, the Bengal environment minister, echo the concerns. In fact, Sarkar has urged central environment and forest minister Jayram Ramesh to raise the issue of the Sundarbans at the upcoming Copenhagen summit on climate change. For this and other reasons, West Bengal’s Chief Minister Buddhadeb Bhattacharjee has called on his countrymen to support the Sundarban’s bid to become one of the Official New7Wonders of Nature.